The first Cityread starts on Sunday. What is Cityread, we hear you ask? Well, it's an initiative to not just get Londoners reading but to get us sharing our thoughts about a book with others, and encouraging people into libraries. 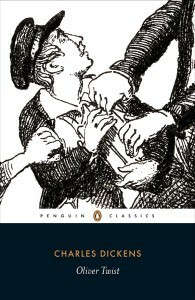 Cityread has chosen Oliver Twist by Charles Dickens as its first book. Maybe all you know about it is "Please sir, I want some more"; maybe you're word perfect to 'Consider Yourself' or maybe you've already read it. Either way, you can still take part – take a copy out of your local library or grab a cheap classics version from a bookshop. There's something happening every day to help you connect with the book or explore other great things to read. Events include reading groups and children's sessions, a hip-hop workshop and writing competitions, quizzes and pub crawls (including our own Dickens quiz at Foyles, or use our own Dickens pub crawl as a template), talks and tours and walks and craft sessions. Even if you find Dickens a bit longwinded (hands up: guilty) Cityread sounds like the perfect way to get over that stumbling block.